Thirteen-year-old Sarina Kennedy finds herself in the middle of a spectacular adventure after a mysterious symbol suddenly appears in her school notebook. For Sarina, the day should have begun like any other — take a shower, grab some breakfast, then off to school. On this day, however, as she gets out of bed she notices her school notebook on her nightstand. Who put it there? Even stranger, her notebook is now open to a page with an unusual symbol drawn on it - a symbol that Sarina doesn’t recognize and, more importantly, that Sarina did not draw. Who drew this symbol, and what does it mean? Along the way the teens also encounter the The Guardians, and a host of others - persons the teens must choose to trust or ...... well, you'll just have to find out for yourself. The Glimmers also learn the earth is much, much older than they have been taught in school, and there have been thousands of previous civilizations which have existed on Earth - some even more technologically advanced than our own. These civilizations were all eventually destroyed by the Evil Ones - for they were unable to unlock the thirteenth sign. The three stone wheels in the library basement, the ever-increasing vibrations, the awesome, beautiful music, the mesmerizing lights, the fantastic, pulsating energy - they all combine to make for a thrilling, frightening, magical journey which grabs hold of the reader - and doesn't let go. Number nine of eleven children and a star athlete, David Hoch dreamed of becoming a professional baseball player. A nearly-fatal car accident sent him on a different course - one in which he became more aware of the preciousness of life, and heightened his awareness to the fact there is a Grand Design to the Universe. Mr. Hoch was subsequently diagnosed with CRPS, a chronic and debilitating pain condition with no known cure. 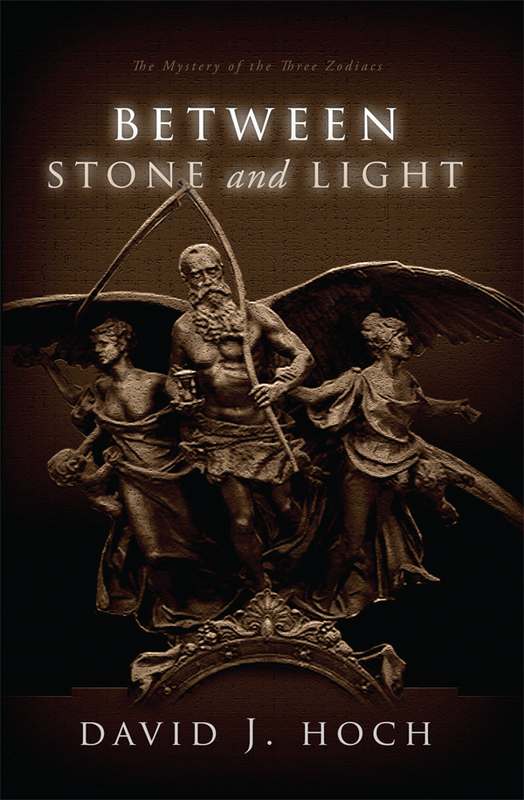 Between Stone & Light is this awareness put into words, this Grand Design illustrated. The Author hopes the reading of this book will spark the imaginations of many thousands of readers - and teach them that sometimes long-held beliefs can be wrong.